Silicon Valley’s Crazy Market – Is it Better to Rent or Buy? Is the market too crazy? Should 1st time home buyers “rent for a while until the market slows down” and throw in the towel for now? Does it still make sense to pay these home prices or are they better off renting right now? Rent or Buy in Silicon Valley? 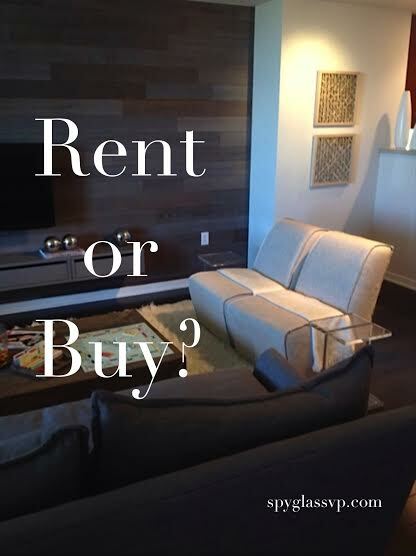 The answer as to whether or not they should buy a home vs. renting when you look at the numbers is resoundingly YES!!! Let’s take a look at this example in Campbell . . . This entry was posted in Jeni Pfeiffer, Mortgage Rates, Rent or Buy and tagged Best Mortgage Rates Bay Area, Campbell Realtor, Homes for sale in Mountain View, Homes for Sale Los Gatos, Homes in San Jose, Is it better to rent or buy a home, Jeni Pfeiffer, Sunnyvale Real Estate, Sunnyvale Realtor, Tony Guaraldi, Win a Bidding war Silicon Valley on April 11, 2015 by jenipfeiffer. As you can see from the graph below Mortgage bonds are at their best levels in the past 12 months! This means most lenders rate sheets will be at their best levels of the year right now. Good time to take advantage of a refi for anyone who never got around to getting it done in the last cycle, those now enable to do so due to rising home values, or people getting towards the end of their ARM loans. 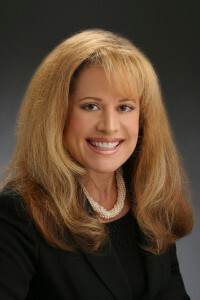 This entry was posted in Mortgage Rates and tagged Guaranteed Rate Mortgage, Jeni Pfeiffer, Low Mortgage Rates, Low rates home loans, Mortgage Bonds Mortgage Rates, Obtaining a home loan, re-fi great rates, Silicon Valley Home Loans, Silicon Valley re-fi rates, Tony Guaraldi on October 10, 2014 by jenipfeiffer. There are a few industry changes that we’ll discuss today including how Fannie Mae will treat people with a Short Sale in the past and a new FICO scoring model that will be implemented this fall. The new FICO scoring model 9 will help many consumers with collections to improve their credit score and we’ll cover all the details on this. CLICK HERE for the Best Mortgage Rates today. This entry was posted in Jeni Pfeiffer, Mortgage Rates and tagged Best Mortgage Rates Bay Area, Fannie Mae Silicon Valley requirements, Fannie Mae waiting period after foreclosure, Fannie Mae waiting period short sales, Fannie Mae waiting periods, Home loans in San Jose, Jeni Pfeiffer, Jeni Pfeiffer realtor, Obtaining a loan after foreclosure, Obtaining a loan after short sale on August 9, 2014 by jenipfeiffer. Are Interest Only loans coming back??? Well technically they never fully left the industry even after the mortgage market meltdown in 2008, but most people are unaware these programs still exist today. However, there is only a small handful of lenders that offer the Interest Only programs today and they are nothing like “fog the mirror” test to qualify for them as it many people joked about prior to 2008. In fact the Interest Only programs offered today are even more strict in terms of income, down payment, and credit requirements then their principal in interest counter parts. Makes sense that underwriting would be more strict as the lender is taking more risk by not have principal reduced every month. This entry was posted in Mortgage Rates and tagged Bay Area real estate, best rates for mortgages, borrowing money for a home in the bay area, Homes for Sale in Mountain View CA, Jeni Pfeiffer, lowest rates for homes, Mortgage Rates Silicon Valley, San Jose realtors, Sunnyvale Homes for Sale on June 13, 2014 by jenipfeiffer. CLICK HERE for the current Friday Mortgage Rate Sheet effective May 9, 2014. This entry was posted in Jeni Pfeiffer, Mortgage Rates and tagged Best Lenders Bay Area, Best Loan Rates in Silicon Valley, Best Loan Rates Willow Glen, Guaranteed Rate Mortgage, Home Loans in Santa Clara, How to obtain a mortgage loan, Jeni Pfeiffer realtor, Loans in Sunnyvale, Mortgage Rates in Silicon Valley, Tony Guaraldi on May 10, 2014 by jenipfeiffer. Welcome to our Friday update. The Jobs report for February is out and it beat expectations coming in at 175,000 jobs created above expectations of 150,000. Additionally there were upward revisions from the past two months reports of 25,000 additional jobs created. This entry was posted in Mortgage Rates and tagged Guaranteed Rate Mortgage, Home loans best rates, Homes for sale in Mountain View, Homes for sale in Silicon Valley, Jeni Pfeiffer, Mountain View Mortgage Rates, Silicon Valley Best Mortgage Rates, Sunnyvale Homes for Sale on March 9, 2014 by jenipfeiffer. Holly Guacamole! We unexpected got a lousy jobs report this morning and Mortgage Bonds are the beneficiary! The Bureau of Labor Statics reported the economy created 74,000 jobs missing huge on the forecasts that predicted a range of 200k to 250k jobs! For comparison the number for October was 200k created and November was 241k created so this was really out of left field! The Jobs Report each month is always the biggest market mover and again its tied to Fed stimulus right now so reactions to the news are exacerbated for Mortgage Bonds. You can see the large green box on the right of the chart below showing the bond market rally today but you can also see we are a long ways off from where rates were in Mid-November. We will enjoy the improvement for now and continue to watch it as we still have some room to run before hitting resistance. Hopefully we can hold onto these gains today as its typically a volatile day after the jobs report like this! This entry was posted in Mortgage Rates and tagged Guaranteed Rate Mortgage, Home loan best rates, Homes for sale in Silicon Valley, Homes for sale in Willow Glen, Jeni Pfeiffer realtor, Lending Changes 2014, mortgage rates in the bay area, Mortgage Rates Silicon Valley, Tony Guaraldi on January 13, 2014 by jenipfeiffer. We’ve got some housing numbers to share with you this week and all of it points to a strong and stable housing market. The Federal Housing Finance Agency (FHFA) House Price Index was reported this week showing values increased nationally by 0.3% in September. The Year over Year is up 8.5% which is a good number for national appreciation of home prices. The Case Shiller Home Price Index for September which tracks closing prices in 20 major cities in the US reported values were up 0.7%. Home Prices are up 13.3% according to them year over year. This is the best number in 7.5 years! Robert Shiller was interviewed on CNBC and although the numbers look good they did not scare him in terms of a potential housing bubble. He explained that those surveyed were not too optimistic which alleviates any bubble concerns he may have had. He noted the rate of appreciation is slowing but this is probably a good thing as 13% appreciation is not sustainable, but there is nothing wrong with 6% appreciation which may be where housing is headed nationally. This entry was posted in Mortgage Rates and tagged Ca, Case Shiller Home Price Index, GuaranteedRate Mortgage, Homes for sale in Campbell, Homes for sale in Silicon Valley, Homes for sale in Sunnyvale, Homes in Silicon Valley, Jeni Pfeiffer, Mortgage Lenders in Sunnyvale, Mortgage Rates, Tony Guaraldi on December 1, 2013 by jenipfeiffer. As we had hoped the Mortgage Bond markets bounced back this week recovering some of the losses from last Friday’s Jobs Report. The highly anticipated event for this week was the Confirmation Hearing for our new Fed President Janet Yellen which took place yesterday morning. She is perceived to be “Dovish” which in our world means likely to continue the stimulus that has been keeping interest rates low and the stock market rising. In her Q and A session at the hearing she did say as expected that the Fed would continue the bond purchases until the economy improves. She did also mention that she believes the real unemployment rate is closer to 10% rather than the number from last week’s Jobs report at 7.3%. CLICK HERE for the November 15 Mortgage Rate Sheet. This entry was posted in Mortgage Rates and tagged GuaranteedRate Mortgage, Homes for sale in Mountain View, Homes for sale in Palo Alto, Homes for sale in Sunnyvale, Jeni Pfeiffer Intero Real Estate, Mortgage Rate Sheet, Mortgage rates in Santa Clara County, Silicon Valley Mortgage Rates, Tony Guaraldi on November 17, 2013 by jenipfeiffer.